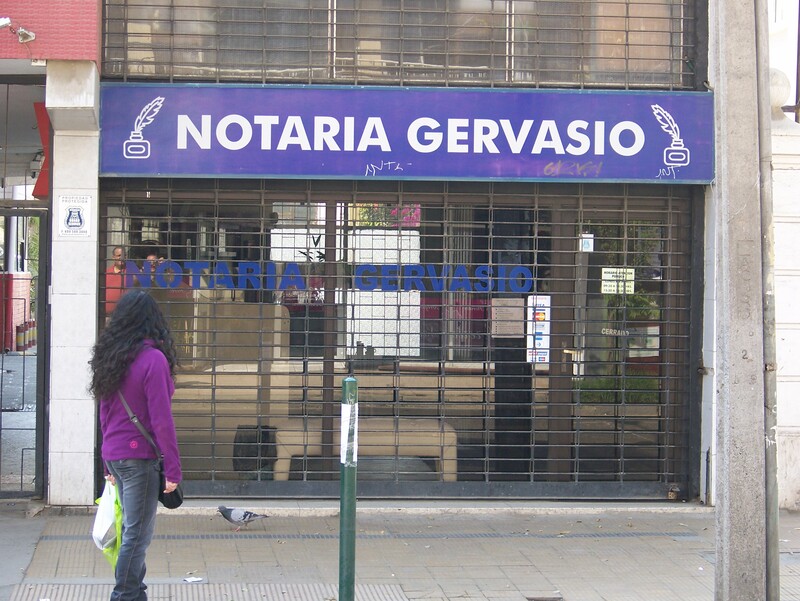 Notaries (notarías) and notarial services are vastly different in Chile than they are in places like the United States. 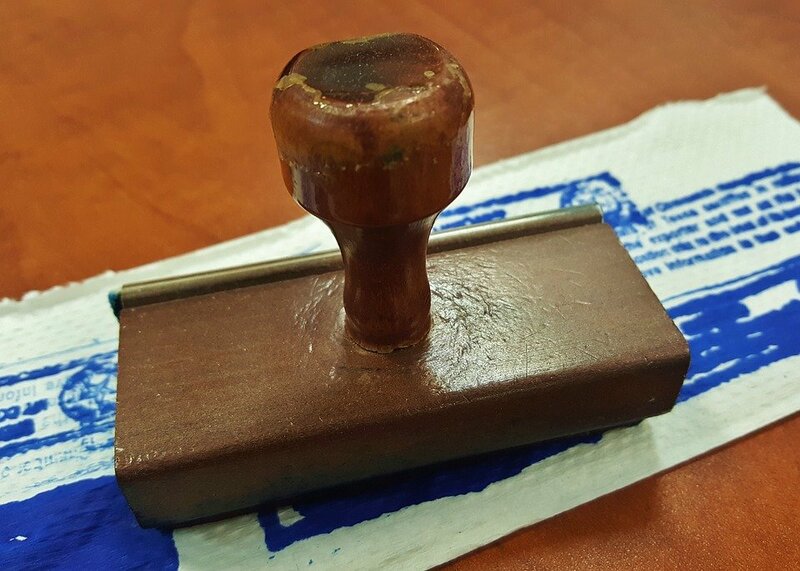 A notary designation is not easy to get in Chile, and a notary does far more than just verify the veracity of the signer. In many cases, notaries offer legal advice, too, the liability associated with doing so being a topic of academic discussion. The relative pay scales are a bit different in Chile compared to places like the United States as well. According to El Mercurio, a Chilean notary business can rake in well over 10 million pesos (USD $155,500) per month, although a great number must languish with only USD $100,000 per month. Even in small towns like Puerto Varas, the local notary can knock down USD $15,000 per month. That income level is due to the fact that notary positions are lifetime monopoly grants from the government (the Ministry of Justice, related to the Appellate Court, in particular). There appears to be political favoritism and even nepotism involved in the designation of notaries, which are almost impossible to remove once installed. Indeed, prior to 1995, they could not be removed at all. One can find siblings heading different notaries, and their children. 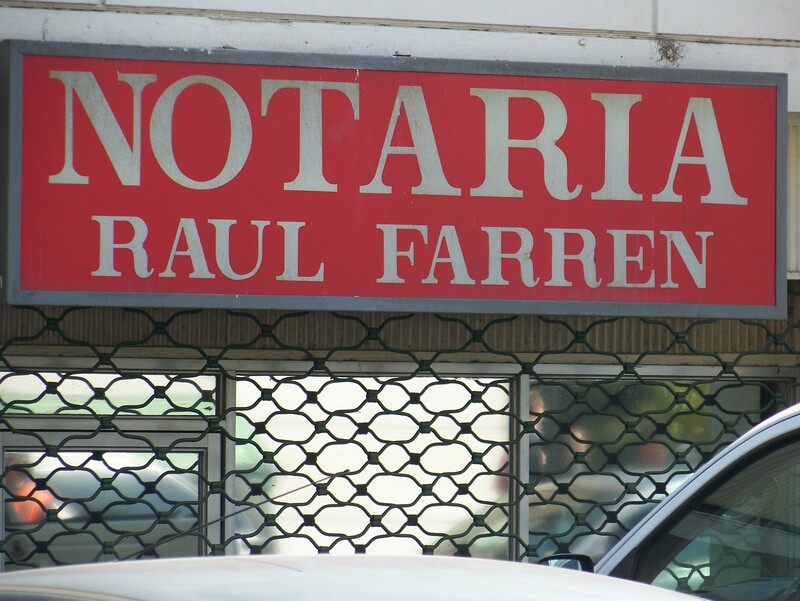 For instance, notary Tavolari has his shop in Viña del Mar while his sister runs another notary in Valparaíso, both going under the same last name: Notaría Tavolari. One would think they are related branch office, but they are not. In some cases, the designations have been effectively hereditary, passing down to children. Furthermore, the “industry” basically is unregulated. 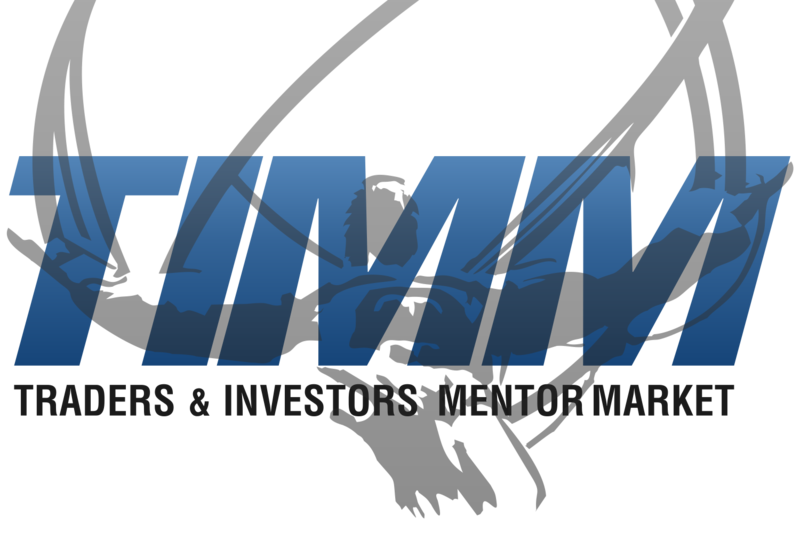 Thus, it is an ideal business to be in! Not surprisingly, notary designation recipients _notarios_ make a big business out of their privilege. For instance, the Fischer Notary in Viña del Mar has sixty employees and rents the entire third floor (complete with private client parking area outside) of one of the most modern office buildings in the city. 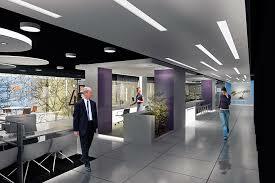 It is one of the largest notaries in the country. A number of Santiago notaries are even larger. The number of notaries in any given area is limited by decree, and this fact can cause significant problems. In Concón and Lo Barnechea, for instance, both growing, largely affluent urban areas, there is only one notary, respectively. Both are congested with slow service, just as one would expect under monopolization. Since people can use any notary in Chile, the folks from those areas often use other notaries instead (perhaps in Viña del Mar or Las Condes) in order to get better service. People might have to do that anyway since not all notaries are competent on legal matters or able to handle all document requests. Notaries willing to sign documents in English are even scarcer. Chilean notaries are, in large measure, a product of living in a society of great distrust and mistrust. Contracts are basically unenforceable if they are not notarized. The same is true with all incorporations, transfers of vehicles or real estate, wills, affidavits, powers of attorney, insurance payouts, as well as documents needed to work with subcontractors. With the exception of some employment contracts, a non-notarized document is essentially worthless. Photocopies of legal documents, certificates, diplomas, records, etc. are likewise unacceptable, generally, unless they are photocopied by the notary himself and stamped as being a legitimate copy. Lately, some politicians and public figures have called the notarial system “anachronistic, bureaucratic and hardly transparent.” Rates should be standardized throughout Chile for certain services. Yet prices can vary greatly: three or four times as much in one (usually affluent) place compared to another. A parallel monopoly institution that is beleaguered by similar problems is the county recorder equivalent in Chile (called the conservador de bienes raíces that handles the recording of real estate transactions, as well as other legal rights and company formation documents. This institution, too, is very lucrative and is spawned by political privilege or favoritism. In fact, they make much more than notaries do. Getting this position is to hit a true goldmine. Like notaries, they have an obligation to the “public trust” to ensure the safekeeping of public records for display when necessary. Consequently, they are both custodians of public documents, making them quasi-state institutions. They both subscribe to at least one powerful lobby to protect their benefits, too. As an expatriate in Chile, it will be impossible to avoid having to use notary services, and unlikely to miss utilizing a recorder for legal transactions. 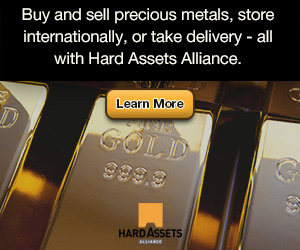 Therefore, be prepared for inefficiencies, high costs and stressful hassles when you do. Nevertheless, being mentally prepared will help you cope better. The system actually works, despite its monopolization and inefficiency. One must simply pay the price to get the desired result. Dr. Cobin’s updated and enlarged 2016 book, Life in Chile: A Former American’s Guide for Newcomers, is the most comprehensive treatise on Chilean life ever written, designed to help newcomers get settled in Chile. He covers almost every topic imaginable for immigrants. This knowledge is applied in his valet consulting service–Chile Consulting–where he guides expatriates through the process of finding a place to live and settle in Chile, helping them glide over the speed bumps that they would otherwise face in getting their visas, setting up businesses, buying real estate, investing in Chilean stocks or gold coins, etc. The cost is $149. Yes, quite accurate depiction. But I would give it a slightly more favorable spin; notaries avoid future legal challenges down the road, as it is the notary him/herself that vows for the legality of the transaction. In the case of Conservador de BIenes Raices, it almost fits to a tee the role of title insurance, from a consumer point of view. The liability that might fall on the notaries represents an unexplored topic in Chile, without the existence of prior doctrinal or jurisprudential concern over the matter. This is a contrast compared to the notaries’ participation in simple and complex businesses where not only does he execute his duties by law, but also extends to advice and delivery of information, making it necessary to determine what behavior might initiate a loss compensation and under what statute shall that liability be located. For any expats in Chile who might need notarizations in English (for the states), I am a New Hampshire Notary living in Las Condes.